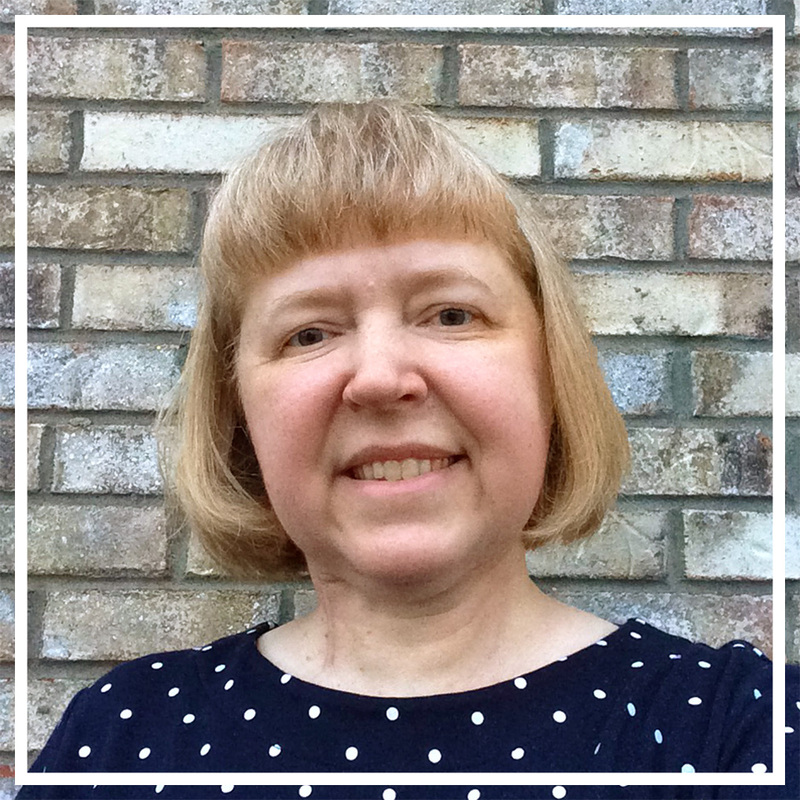 I'm teaming up with the Lesson Deli gals for Supermarket Saturday. 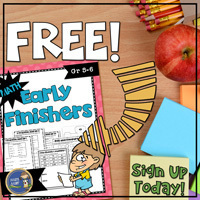 Each Saturday we will be bringing you ideas for the classroom and each week will be a different theme. 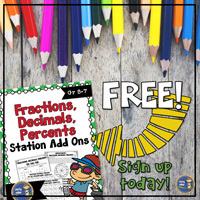 Be sure to follow this blog so you don't miss out on the updates each week. 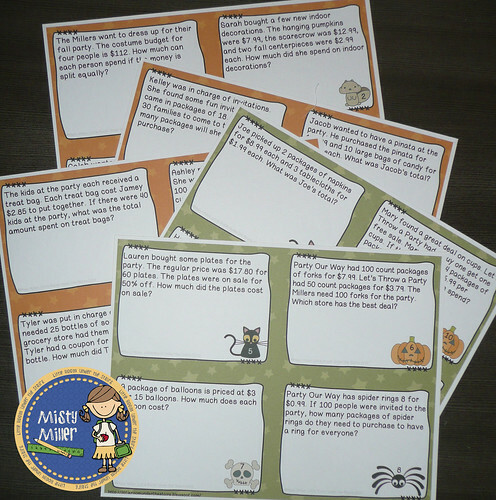 This week we are here with some Halloween products for your classroom. I like to provide my students with some real world activities as we go through the year. One area I hit on a lot is solving real world problems when money is involved. 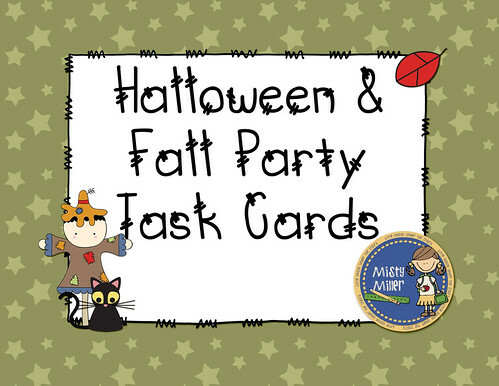 I created a set of Halloween/Fall Party Task Cards. 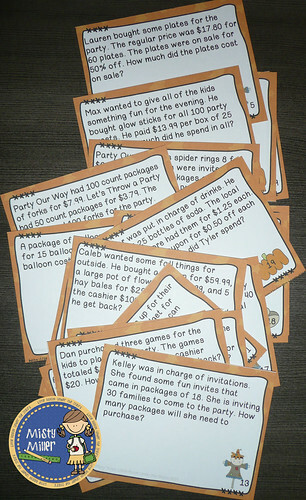 This set of task cards includes 20 word problems dealing with shopping for a Halloween Party. 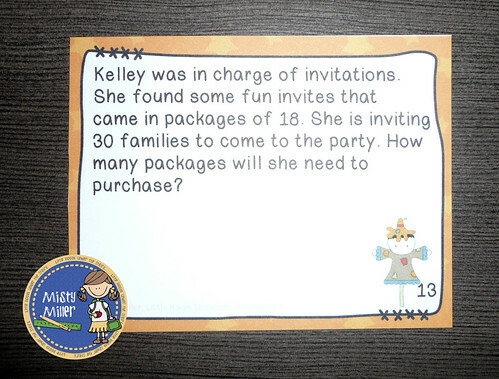 Since some people don't do Halloween, I have also included the same word problems but with a Fall Party theme. A recording sheet and answer key is also included. 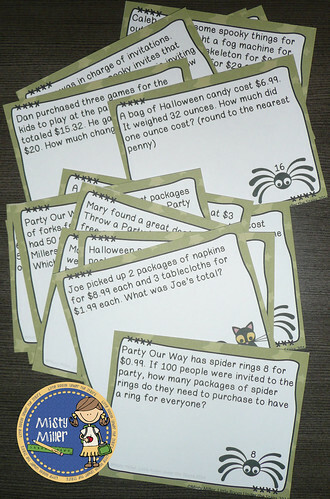 This week my kiddos are going to all do the Halloween Task Cards at the same time. I call this "Around the Room". I put cards on desks and walls, and students move around the room solving the problems.